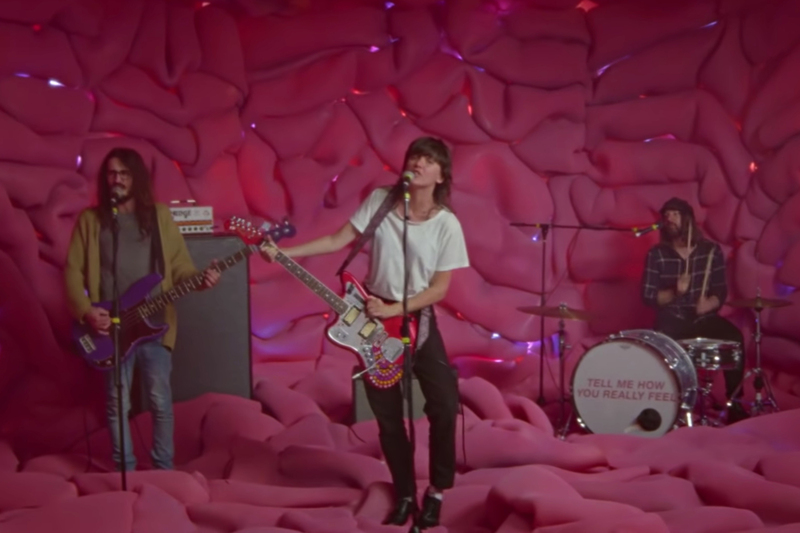 Directed by Barnett’s longtime collaborator Danny Cohen, the video features the Australian singer-songwriter and her band performing the song inside her brain. “You say ‘It’s only in your head/They’re probably thinking the same thing’” she sings, strumming on her guitar while standing on her fuschia lobes. Bassist Bones Sloane and drummer Dave Mudie share a private moment outside the scene in a white abyss, waving to each other before returning to the beat. As all three musicians chant “We’re gonna tell everyone it’s okay,” Barnett smiles as she sings, believing it herself.